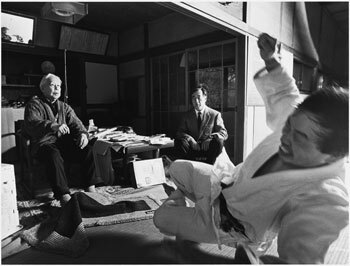 Kubijime ryotedori sannin nage—one attacker chokes Sensei about the neck, while two others grab each wrist with both hands. 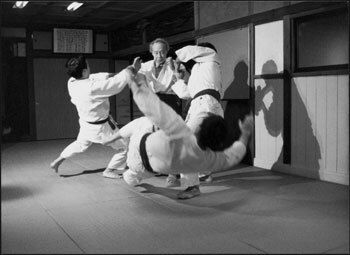 Sensei first threw the one choking him, then threw the others. 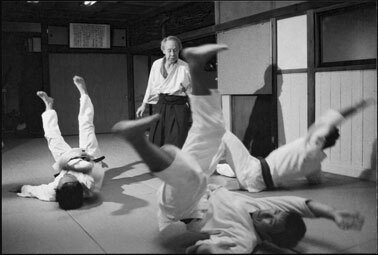 In the actual technique, the three attackers would be thrown into each other. 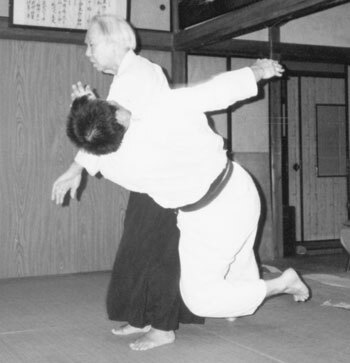 For the safety of his students, Sensei throws them apart for this photo sequence. 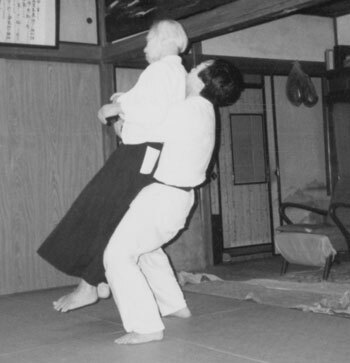 The author grabbed Sensei from the back and lifted him off the floor. Suddenly he was thrown, and could not understand how this happened. 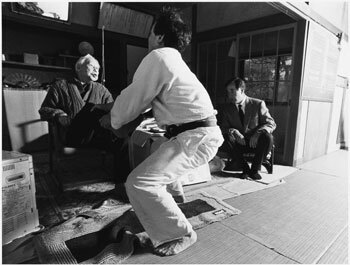 Sagawa Sensei throws the author with great force just using his feet. 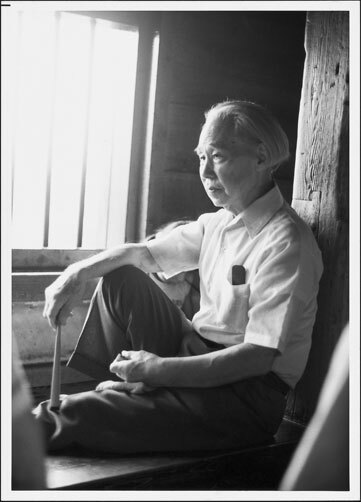 Novelist Yo Tsumoto observes.